To help grow and empower a local community in Honduras, the Rotary Action Group for Microfinance and Community Development (RAGM) teamed up with District 5360 Microcredit Task Force to implement the Honduras Economic and Community Development Program (HECD). Microfinance is a key component to a successful economic community development project as it has been proven to be a significant tool in eliminating poverty. Through microfinance and other financial services, along with skill development and training, low-income individuals are able to lift themselves out of poverty over time. We worked with the Rotary Club of Real de Minas Tegucigalpa, Honduras, Opportunity International Canada (OIC) and their operating partner in Honduras, Instituto para el Desarrollo Hondureño (IDH) to provide microfinance services in the region. Access to affordable loans allowed Hondurans to pay for their children’s school, provide food, shelter and health care. The women that are a part of this program have grown in social stature in a male-dominated society, and have assumed leadership positions in their communities. It is astounding to see the variety of businesses these entrepreneurs have taken on, from making tortillas to farming chickens and tilapia to stores and candle makers. As their businesses grow, they create jobs for their less entrepreneurial family and community members. During our trips to Honduras, our translator Maria Elena Alvarez introduced us to her husband Arnoldo, the Honduran Director for Impact Water. Over the past 25 years, he has executed more than 300 water projects through his perfected methodology of Asset Based Community Development (ABCD) which we incorporated into the HECD program. The sustainable methodology empowers the villages to take full project ownership establishing a water committee, securing access to a water source, providing all of the unskilled labour, naming a local water expert to be trained in water system maintenance, and collecting $1-$2 a month per family to fund future expenses required to keep the water flowing. The pool of funds collected for water maintenance is also used to provide loans to the villagers, in essence forming their own microcredit co-op. 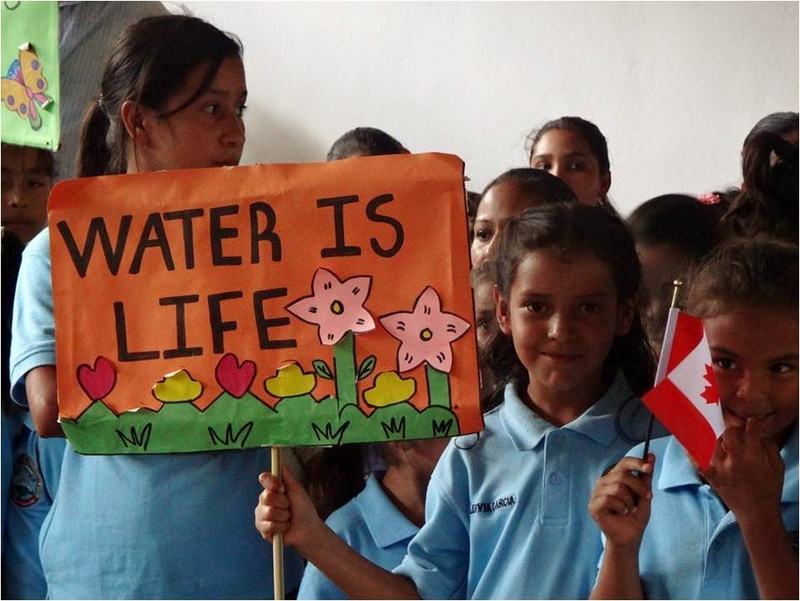 Having access to clean sustainable water has impacted the community tremendously. Women no longer have to walk miles every day to get water and carry it back to their homes. The women can now focus on earning money for their families and growing crops to feed them. Schools are no longer closed due to lack of water and children are able to focus on their education. Economic and community development is not just about access to funds. It must encompass all the areas of focus. It happens in a peaceful environment, free of disease, with access to clean water, education and healthy mothers and children. Rotarians can make a huge impact by empowering local communities to be self-sustainable through economic and community development projects. The Rotarian Action Group for Microfinance and Community Development (RAGM) is a group of Rotarians whose purpose is to provide global leadership to assist clubs and districts in effective Microfinance and Community Development programs. Contact the group for assistance with your economic and community development projects. Would like to help empower the Community of Aigina in some ways. No pool.They like to have activities after school and there no Civic Center. As a Rotary with 10 members we have no money to do such projects. from Greece, because Greece has no money to ask for such projects. It saddens us to hear about the current economic situation in Greece and how it has impacted the local community. We think it’s wonderful your club is taking initiative to address the local community needs and provide children with a place to enjoy after school activities. We encourage you to draft a project summary and post it on Rotary Ideas (ideas.rotary.org), a platform that helps Rotarians find international partners to help complete their projects. Learn more about using the grant application tool, district (www.rotary.org/myrotary/en/take-action/apply-grants/district-grants) and global grants (rotary.org/myrotary/en/take-action/apply-grants/global-grants) from the Rotary Foundation as resources for your project. Please email us at rotary.service@rotary.org if you have any additional questions!